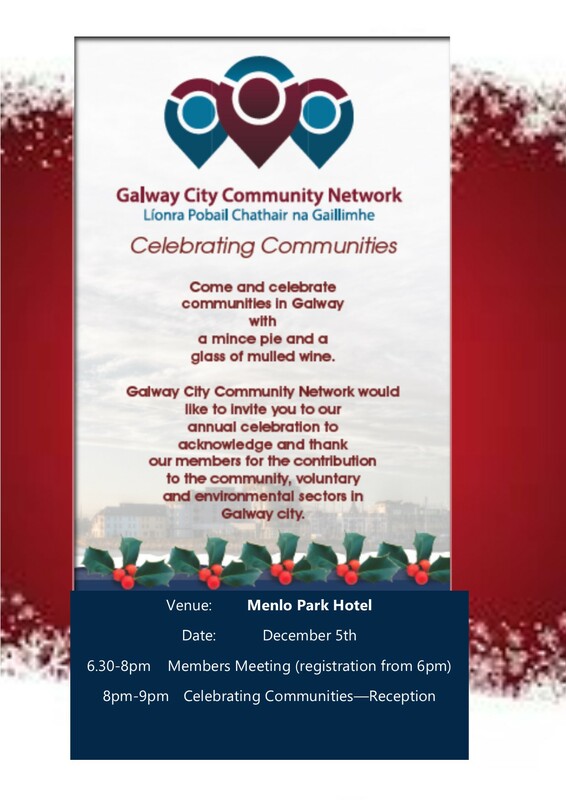 Thank you to all that joined us for the final GCCN Plenary meeting of 2018 that took place on December 5th in the Menlo Park Hotel. For information, the prsentation of teh GCCN work highlights and the wording of the motion that was unamiously passed are below. 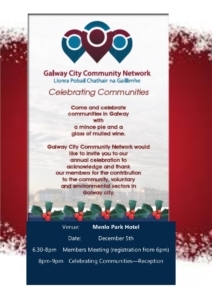 We the membership of Galway City Community Network reaffirm the importance of GCCN and the critical role independence plays in the way GCCN operates and reaffirms or commitment to remain independent.